One of the questions we get asked the most is when the best time to travel to Canada; the answer is not that straightforward, however, as there is much to see and do throughout the calendar year. A country of true seasons – a real winter; spring floral displays to savour; hot, dry summer days; and the most spectacular fall colours – Canada has so much to offer, year round. Canada being cold is an oft-made assumption and yes, winter can be cold, but dry, sunny, cold days make for wonderful powder snow, so skiing in Canada is like nowhere else in the world. 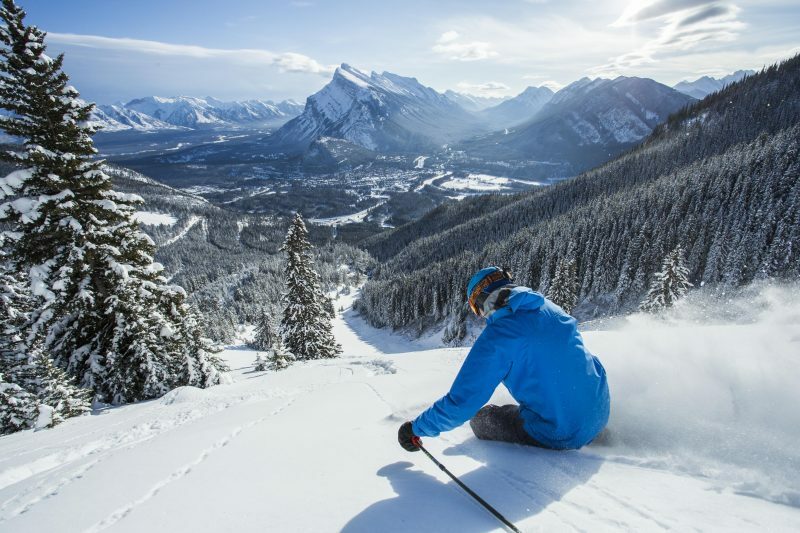 Choose from small towns in the Canadian Rockies with the most amazing skiing, to purpose-built resorts that top the ‘best for’ charts every year, have the friendliest people that ski with you for free, and offer views to die for from the slopes and ‘sniffle stations’ with free tissues at base stations. Winter is a way of life in Canada and epic snow days also bring amazing dog-sledding, snowmobiling, ice-skating, tubing and much more besides. Take in an ice-hockey game, or snuggle up under a blanket with a loved one on a romantic sleigh ride – the options are endless. Winter also offers the best time for seeing the amazing Aurora Borealis; the first glimpse of the beautiful green flashes of the Northern Lights is one that will long linger in the memory. 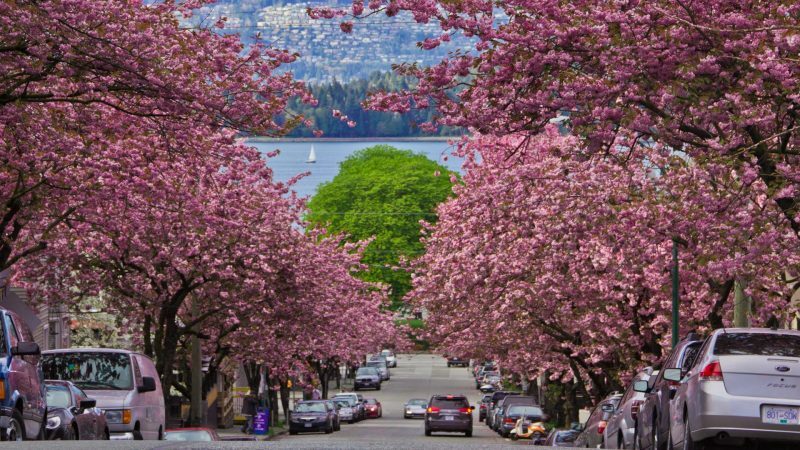 Nowhere does spring blossoms quite like the west coast of British Columbia and a walk along English Bay in Vancouver or through the cobbled streets of Victoria is a must-do for some great floral views. Spring is also the time when the bears are coming out of hibernation and many bear lodges have great viewing in the late spring months, with new-born cubs taking their first steps along with mum.Taking a trip to Vancouver Island to see the migration of the gray whale at this time of year is also an experience not to be missed. Looking to explore the open roads but want to avoid the crowds? May/June is a great time for a fly-drive holiday, with less-busy roads, cheaper flights from the UK and yet, gorgeous scenery still to be seen, coast-to-coast. Canada might not be top of your beach holiday list, but that doesn’t mean to say a day or two on the beach is not possible when visiting in the summer months. Major cities such as Vancouver have lovely beaches right on the Pacific, while the opposing coasts of Vancouver Island offers rugged, rocky shores or flat, white-sand beaches that seem to go on forever. 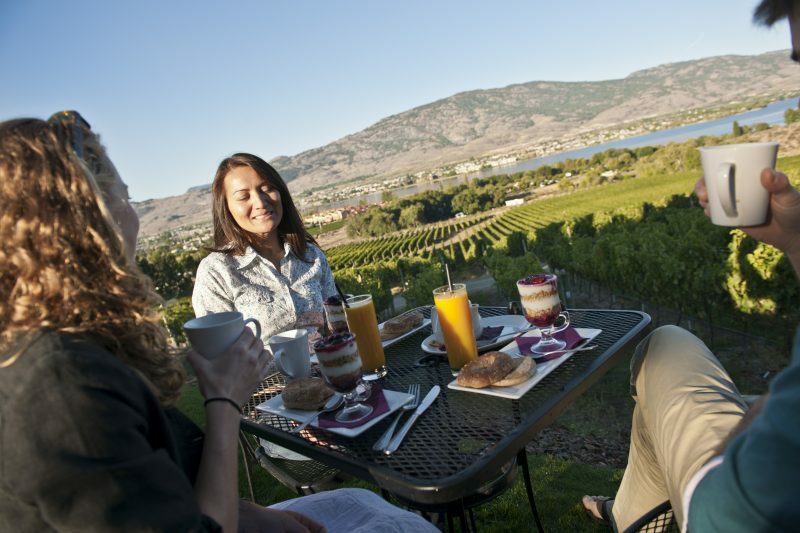 Visit the beach – or even the desert – in the Okanagan valley while drinking the most glorious wines and enjoying freshly-picked fruit. We bet you’ve never tasted seafood that tastes as good as that rustled up on a barbecue on the Atlantic Coast of Nova Scotia – lobster anyone? 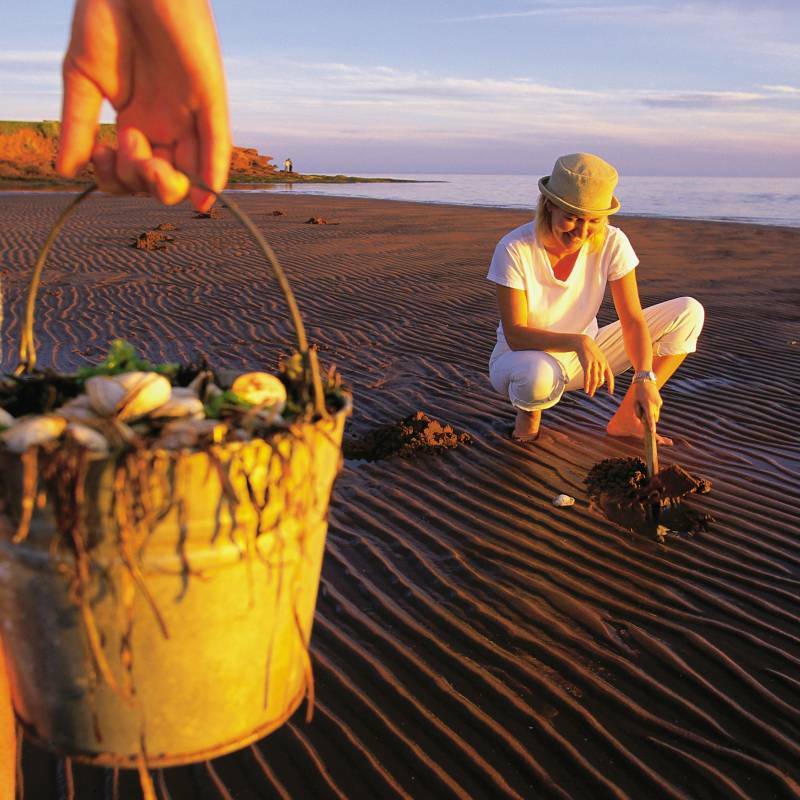 – or consumed fresh clams that you’ve dug for yourself in Prince Edward Island. Lakeside resorts in Ontario offer watersports, and activities for all, and if you head further north to the Yukon, you can still see the sun at midnight. Festivals abound in Canada and many of the best take place in the summer months. Montreal plays host to one of the best jazz festivals in July, as well the internationally-renowned Just for Laughs, while Calgary plays host to the ‘greatest show on earth’ with the annual Calgary Stampede. Beer and wine festivals are now commonplace in various parts of the country; who needs another reason to enjoy a long, cold glass on a hot summer’s day? Glorious reds, oranges and yellows abound during Canada’s autumn; travel from mid-September to late October for the most wonderful displays of colour. 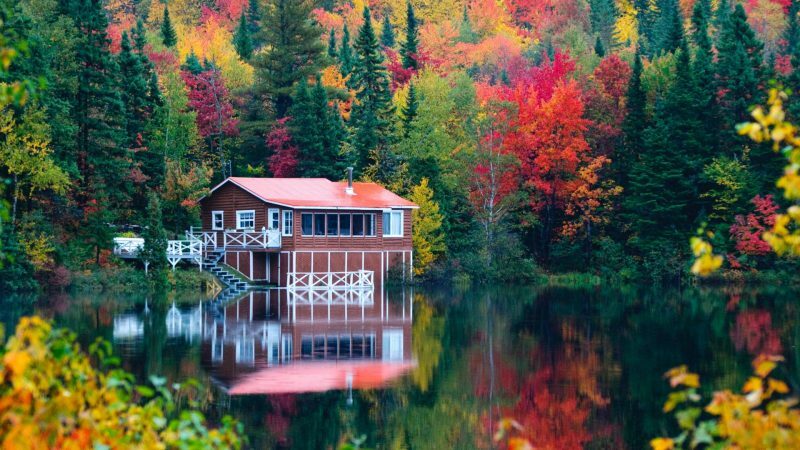 Among the best are on the east coast, with Ontario’s parks putting on incredible displays while a road trip through Quebec or Atlantic Canada will also provide spectacular autumnal hues. Grizzly bears take to the shores to feast on salmon in September and October; if this is on your bucket list of things to see, then make sure you plan well in advance as prime-time bear viewing books up very early indeed. 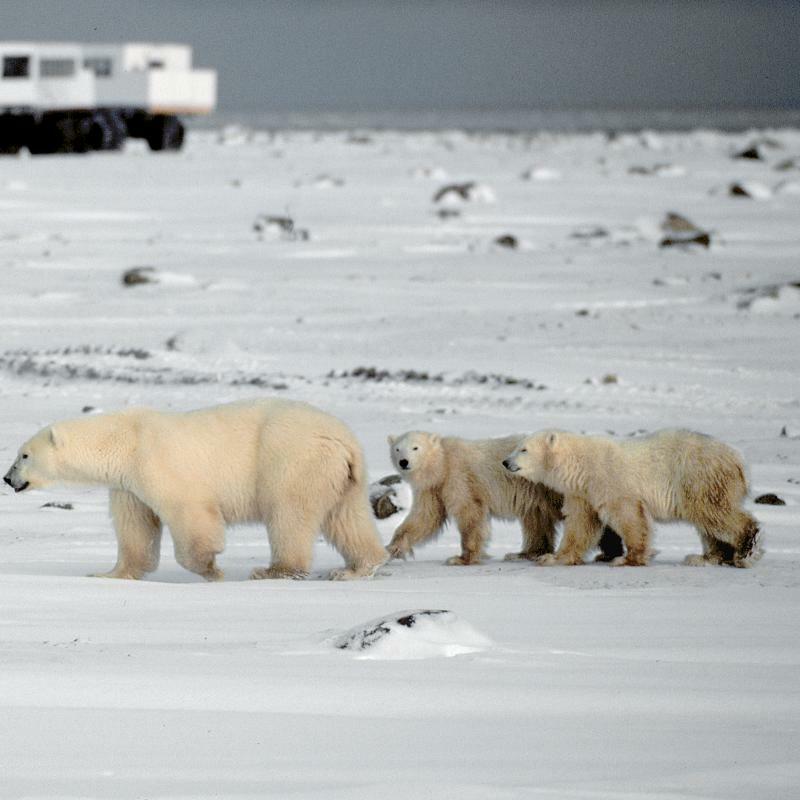 Come early November, the mighty polar bear treads the tundra and there are many ways you can get up close and personal with these incredible animals. The Atlantic Ocean has up to 20 species of whale lurking offshore and September and October offer great chances to view beluga, minke and humpbacks on Canada’s east coast. Best time to travel to Canada? Take your pick….